18th century Living History video-Canada. 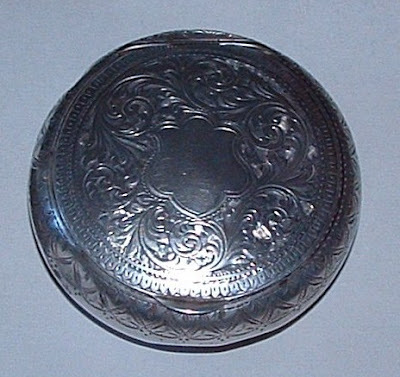 18th century silver snuff box. This 18th century silver snuff box is in fact quite large, and I have no doubt that it could be used as a tinderbox. Two of the Author's Tomahawks. His late Father's Hammer Poll tomahawk on top, and a round poll tomahawk below. Making an 18th Century Square Poll Hatchet Without A Forge. How To Make An 18th Century Hatchet Without a Forge! Making the Early 18th century Square Poll Hatchet with an Oval Eye. I made this hatchet a long time ago, before I knew where to obtain a tomahawk. However, this hatchet has always been my favourite, it is good to use, it handles well and it is great for throwing. This is how I made it. First of all I purchased a second hand hatchet head from a second hand dealer, I think it cost me a couple of dollars. I took it home and placed it in the firebox of our wood burning stove. If you do not have a wood burning stove or open fireplace, then simply make a small fire outside. When the head was red hot, I took it out with a wire through the eye, and placed it on the tiles to cool down slowly. Once cooled, I was able to cut the head into the shape I wanted with an ordinary hacksaw, and file the rough edges smooth. Next I went out into the garden and built a small hardwood fire. Next to the fire I drove a pickaxe into the ground, pointy end sticking upward. I reheated the head to bright red in the fire, then using a pair of fencing pliers I removed the head and placed it with the pointy end of the pickaxe sticking into the eye of the hatchet head with the head upside down. That is the top of the eye downward on top of the pick. I then used a hammer to drive the head down over the pick. When it lost its redness, I reheated and repeated the process until the head was driven well down on the pick and the hatchet head now had an oval eye like a tomahawk. Finally I heated the head to cherry red again, and then quenched it in water quickly. This re-hardened the metal. The Annual Geoff Howarth Memorial Winter Historical Trek. This years Annual Geoff Howarth Memorial Winter Trek will be taking place on the 6-7th of June, this is the first weekend of the month. We get going as early as we can, so RSVP me if you are going to attend. We will camp over saturday night (unless you come early and camp over Friday night as well) & return some time on the Sunday. However, depending on the weather (if it gets cold before then! ), we may be Historical Trekking earlier as well, and definately later. 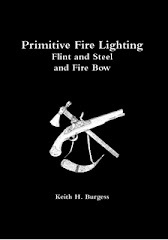 I am determined to do more Historical Trekking and Camping this winter, even if I have to go alone! Any people out there want more information, or think they may like to join our little group,leave a message and I will reply. This is an add! Watch it to the end. 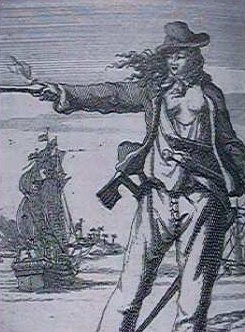 "very masculine in her appearance, and seldom wore a gown, but usually had on a petticoat with a man’s coat over it, with a rifle over her shoulder and a tomahawk and butcher knife in her belt." 18th century Women in Men's Clothing. I started researching woodswomen, in the hope of attracting more Ladies to our group who wished to participate in 18th century Historical Trekking. I found Ann Bailey, & Mrs Pentry, both of whome spent considerable time in the woods, and both wore men's clothing. Historical Trekking-Winter is almost here! Well winter is almost here in New England, Australia, almost time for winter trekking and camping. Are there anymore Australian Historical Trekkers out there? If there are, then it is that time of year to be checking out your clothing and equipment, to make sure it is in good repair. Maybe you made some notes last winter on needed repairs, or things to take out of your knapsack or snapsack? Or perhaps there were items that you did not have last winter that need to be added to your pack? Check your blanket roll to make sure you have that extra winter clothing rolled up inside, mittens perhaps, though you may be wearing those on the trail. That gun barrel can get pretty cold in winter! How about the extra wool shirt and the extra weskit for wearing at night? The Monmouth hat too. You can lose a lot of heat through your head if it is not covered on a cold winters night. How about extra moccasins, any need for those? Or like me do carry leather in your knapsack for moccasin repairs, and only carry extra moccasins on long trips? How about that trail food? How long has that been in your pack?! Might be a good time to feed it to the chooks, and get yourself some fresh dried foods. Well it is getting cooler already, and soon I will be back on the wilderness trail and heading for Fox Valley. If anyone out there wants to join me, so we can sit around a camp fire and chat whilst sipping a hot drink after dinner, let me know. Regards, Keith.